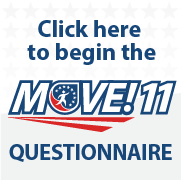 Complete the MOVE!11 Getting Started Questionnaire to get personalized feedback on your current health status. Click here to begin the MOVE!11 questionnaire. This questionnaire is called the MOVE!11, because it has 11 questions. The questions ask you about your medical history, what you eat, how active you are and things that may be getting in the way of you being able to manage your weight. Once you complete the MOVE!11 questionnaire, you will have the option to print a patient report. The report has a code at the top of the first page. 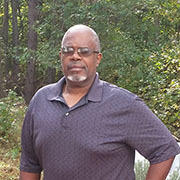 Bring the printed patient report or the code to your appointment with your VA health care team. This code allows your VA health care team to have access to your answers to the MOVE!11. Please review the following statements regarding the information you will provide in the MOVE!11 Questionnaire.